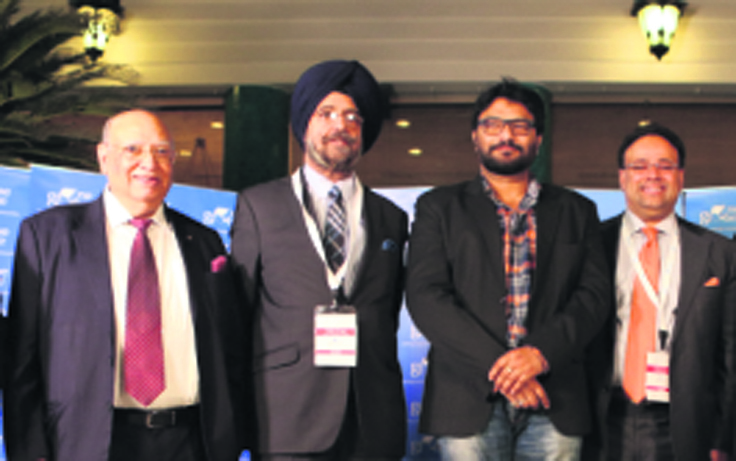 India's Minister of State for Urban Development, Babul Supriyo, gave away the One Globe Awards at the 'One Globe: Uniting Knowledge Communities Conference' held in New Delhi recently. The awards recognize and honour individuals as well as domestic and international companies for their contributions in building a 21st century knowledge economy through their initiatives in digital economy, R&D, smart cities, entrepreneurship and social impact. Lord Raj Loomba CBE received the award for Excellence in Creating Social Impact for helping and providing global recognition to over 258 million widows and their 585 million children worldwide. Prime Minister Modi recently supported The Loomba Foundation’s project to provide dignified livelihood to 5,000 widows of Varanasi through skills training in tailoring and sewing machines. The One Globe conference is India's leading conference that brings together global thought leaders to discuss how we build a 21st century knowledge economy in India and South Asia. It explores the intersection of technology, innovation, smart cities, skills, regional collaboration and education.